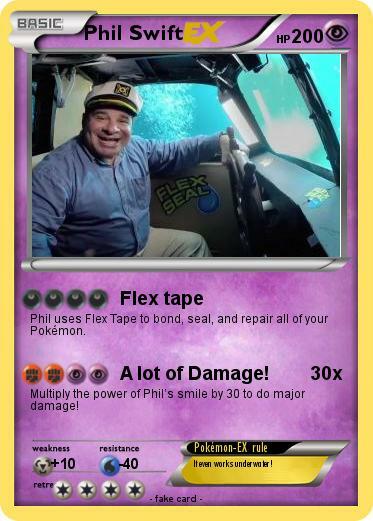 Phil uses Flex Tape to bond, seal, and repair all of your Pokémon. Attack 2 : A lot of Damage! Multiply the power of Phil’s smile by 30 to do major damage! Pokémon-EX rule : It even works underwater!